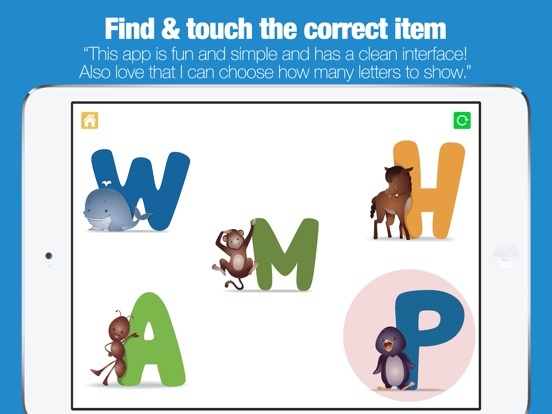 ABC Alphabet Phonics is a simple, colorful app that has children listen and identify letters by name. 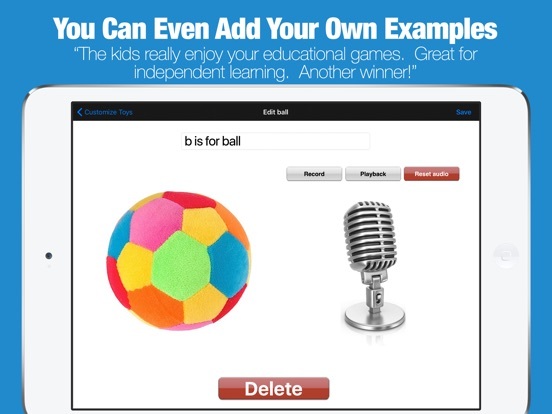 One special features is that you can use your own pictures and voices for personalization. 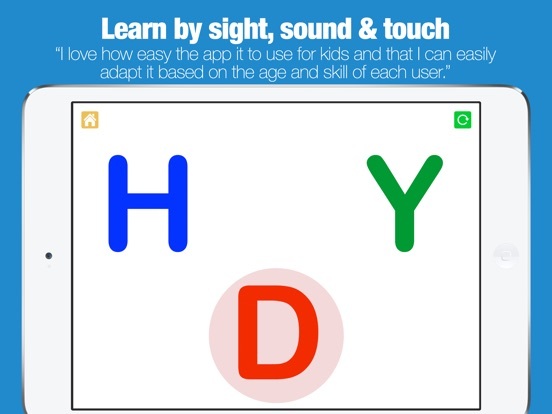 A good app to help children struggling with letter name identification practice in a supported and low stress environment. Limited visual distractions help for short term use, but are not highly motivating or authentic. Hopefully letter sounds will be added to this app in the future!